The perpetrators were members of Armed Forces of National Liberation, FALN (the Spanish acronym), a clandestine terrorist group devoted to bringing about independence for Puerto Rico through violent means. Its members waged war on America with bombings, arson, kidnappings, prison escapes, threats and intimidation. The most gruesome attack was the 1975 Fraunces Tavern bombing in Lower Manhattan. Timed to go off during the lunch-hour rush, the explosion decapitated one of the four people killed and injured another 60. FALN bragged about the bloodbath, calling the victims "reactionary corporate executives" and threatening: "You have unleashed a storm from which you comfortable Yankees can't escape." By 1996, the FBI had linked FALN to 146 bombings and a string of armed robberies -- a reign of terror that resulted in nine deaths and hundreds of injured victims. On Aug. 7, 1999, the one-year anniversary of the U.S. African embassy bombings that killed 257 people and injured 5,000, President Bill Clinton reaffirmed his commitment to the victims of terrorism, vowing that he "will not rest until justice is done." Four days later, while Congress was on summer recess, the White House quietly issued a press release announcing that the president was granting clemency to 16 imprisoned members of FALN. What began as a simple paragraph on the AP wire exploded into a major controversy. Mr. Clinton justified the clemencies by asserting that the sentences were disproportionate to the crimes. None of the petitioners, he stated, had been directly involved in crimes that caused bodily harm to anyone. "For me," the president concluded, "the question, therefore, was whether their continuing incarceration served any meaningful purpose." His comments, including the astonishing claim that the FALN prisoners were being unfairly punished because of "guilt by association," were widely condemned as a concession to terrorists. Further, they were seen as an outrageous slap in the face of the victims and a bitter betrayal of the cops and federal law enforcement officers who had put their lives on the line to protect the public and who had invested years of their careers to put these people behind bars. The U.S. Sentencing Commission affirmed a pre-existing Justice Department assessment that the sentences, ranging from 30 to 90 years, were "in line with sentences imposed in other cases for similar terrorist activity." Observed Judge George Layton, who sentenced four FALN defendants for their conspiracy to use military-grade explosives to break an FALN leader from Ft. Leavenworth Penitentiary and detonate bombs at other public buildings, "[T]his case . . . represents one of the finest examples of preventive law enforcement that has ever come to this court's attention in the 20-odd years it has been a judge and in the 20 years before that as a practicing lawyer in criminal cases." The FBI cracked the cases with the discovery of an FALN safe house and bomb factory. Video surveillance showed two of those on the clemency list firing weapons and building bombs intended for an imminent attack at a U.S. military installation. FBI agents obtained a warrant and entered the premises, surreptitiously disarming the bombs whose components bore the unmistakable FALN signature. They found 24 pounds of dynamite, 24 blasting caps, weapons, disguises, false IDs and thousands of rounds of ammunition. A total of six safe houses were ultimately uncovered. Seven hundred hours of surveillance video were recorded, resulting in a mountain of evidence connecting the 16 prisoners to multiple FALN operations past and present. Federal law enforcement agencies considered these individuals so dangerous, extraordinary security precautions were taken at their numerous trials. Courthouse elevators were restricted and no one, including the court officers, was permitted to carry a firearm in the courtroom. Hillary Rodham Clinton was in the midst of her state-wide "listening tour" in anticipation of her run for the U.S. Senate in New York, a state which included 1.3 million Hispanics. Three members of the Congressional Hispanic Caucus -- Luis V. Gutierrez (D., Ill.), Jose E. Serrano, (D., N.Y.) and Nydia M. Velazquez, (D., N.Y.) -- along with local Hispanic politicians and leftist human-rights advocates, had been agitating for years on behalf of the FALN cases directly to the White House and first lady. Initial reports stated that Mrs. Clinton supported the clemencies, but when public reaction went negative she changed course, issuing a short statement three weeks after the clemencies were announced. The prisoners' delay in refusing to renounce violence "speaks volumes," she said. The Clintons were caught in an awkward predicament of their own making. The president had ignored federal guidelines for commutation of sentences, including the most fundamental: The prisoners hadn't actually asked for clemency. To push the deal through, signed statements renouncing violence and expressing remorse were required by the Justice Department. The FALN prisoners, surely relishing the embarrassment and discomfiture they were causing the president and his wife, had previously declined to accept these conditions. Committed and unrepentant militants who did not accept the authority of the United States, they refused to apologize for activities they were proud of in order to obtain a clemency they never requested. So desperate was the White House to get the deal finalized and out of the news, an unprecedented 16-way conference call was set up for the "petitioners" who were locked up in 11 different federal facilities so that they could strategize a response to the president's offer. Two eventually refused to renounce their cause, preferring to serve out their lengthy sentences rather than follow the White House script. Mr. Clinton's fecklessness in the handling of these cases was demonstrated by the fact that none of the prisoners were required, as a standard condition of release, to cooperate in ongoing investigations of countless unsolved FALN bombing cases and other crimes. 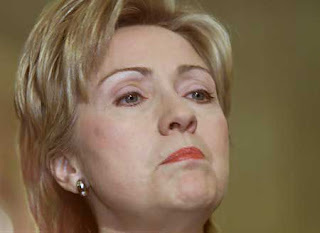 Mrs. Clinton's so-called disagreement with her husband on the matter made no mention of that fact. The risk of demanding such a requirement, of course, was that the prisoners might have proudly implicated themselves, causing the entire enterprise to implode, with maximum damage to the president and potentially sinking Hillary Clinton's Senate chances. Meanwhile, Puerto Rican politicians in New York who'd been crowing to their constituents about the impending release of these "freedom fighters" were enraged and insulted at Hillary Clinton's withdrawal of support. "It was a horrible blunder," said State Sen. Olga A. Mendez. "She needs to learn the rules." The first lady called her failure to consult the Puerto Rican political establishment before assessing the entire issue a mistake "that will never happen again" -- even as the cops who had been maimed and disfigured by FALN operations continued to be ignored. Tom and Joe Connor, two brothers who were little boys when their 33-year-old father, Frank, was killed in the Fraunces Tavern attack, were dumbstruck to learn that White House staffers referred to the FALN militants as "political prisoners" and were planning a meeting with their children to humanize their plight. Members of Congress viewed the clemencies as a dangerous abuse of presidential power that could not go unchallenged. Resolutions condemning the president's action were passed with a vote of 95-2 in the Senate, 311-41 in the House. It was the most they could do; the president's pardon power, conferred by the Constitution, is absolute. The House launched an investigation, subpoenaing records from the White House and Justice in an effort to determine whether proper procedure had been followed. President Clinton promptly invoked executive privilege, putting Justice Department lawyers in the impossible position of admitting that they had sent the White House a recommendation on the issue, but barred from disclosing what it was. Twenty-four hours before a scheduled Senate committee hearing, the DOJ withheld the FBI's written statement about the history of the FALN and an assessment of its current terrorist capability. "They pulled the plug on us," said an unnamed FBI official in a news report, referring to the Justice Department decision to prevent FBI testimony. The investigation revealed that the White House was driving the effort to release the prisoners, rather than the other way around. White House aides created talking points and strategies for a public campaign on the prisoners' behalf included asking prominent individuals for letters supporting clemency. Jeffrey Farrow, a key adviser on the White House Interagency Working Group for Puerto Rico recommended meetings with the president and the three leading members of Congressional Hispanic Caucus who were pushing the effort, stating in a March 6, 1999 email, "This is Gutierrez's [sic] top priority as well as of high constituent importance to Serrano and Velazquez." The next day, White House Deputy Chief of Staff Maria Echaveste sent an email to White House Counsel Charles Ruff, who was handling the clemency issue, supporting Mr. Farrow's view, saying, "Chuck -- Jeff's right about this -- very hot issue." Another adviser in the Working Group, Mayra Martinez-Fernandez, noted that releasing the prisoners would be "fairly easy to accomplish and will have a positive impact among strategic communities in the U.S. (read, voters)." And there you have it. Votes. While the pardon scandals that marked Bill and Hillary Clinton's final days in office are remembered as transactions involving cronies, criminals and campaign contributors, the FALN clemencies of 1999 should be remembered in the context of the increasing threat of domestic and transnational terrorism that was ramping up during the Clinton years of alleged peace and prosperity. To wit, the 1993 World Trade Center bombing, the 1995 Tokyo subway Sarin attack, the 1995 Oklahoma City bombing, the 1995 "Bojinka" conspiracy to hijack airplanes and crash them into buildings, the 1996 Khobar Towers bombing, the 1996 Summer Olympics bombing, Osama bin Laden's 1996 and 1998 "Declarations of War" on America, the 1998 East African embassy bombings, the 2000 USS Sullivans bombing attempt, the 2000 USS Cole bombing, and the 2000 Millennium bombing plot. It would be a mistake to dismiss as "old news" the story of how and why these terrorists were released in light of the fact that it took place during the precise period when Bill Clinton now claims he was avidly engaged, even "obsessed," with efforts to protect the public from clandestine terrorist attacks. If Bill and Hillary Clinton were willing to pander to the demands of local Hispanic politicians and leftist human-rights activists defending bomb-makers convicted of seditious conspiracy, how might they stand up to pressure from other interest groups working in less obvious ways against U.S. interests in a post-9/11 world? Radical Islamists are a sophisticated and determined enemy who understand that violence alone will not achieve their goals. Islamist front groups, representing themselves as rights organizations, are attempting to get a foothold here as they have already in parts of Western Europe by deftly exploiting ethnic and racial politics, agitating under the banner of civil liberties even as they are clamoring for the imposition of special Shariah law privileges in the public domain. They believe that the road to America's ultimate defeat is through the back door of policy and law and they are aggressively using money, influence and retail politics to achieve their goal. On the campaign trail, the Clintons like to say that Bill is merely supportive and enthusiastic, "just like all the other candidates' spouses." Nothing could be further from the truth. Returning Bill and Hillary Clinton to the White House would present the country with the unprecedented situation of a former and current president simultaneously occupying the White House, the practical implications of which have yet to be fully explored. Ms. Burlingame, a former attorney and a director of the World Trade Center Memorial Foundation, is the sister of Charles F. "Chic" Burlingame III, the pilot of American Airlines flight 77, which was crashed into the Pentagon on Sept. 11, 2001. Admittedly, Bill blew this one, but that doesn't justify George Bush's incompetence. They are both evil.... two sides of the same coin! You said "Bill blew this one but that doesn't justify George Bush's incompetence." What does one have to do with the other? I think you're stretching it!